Aceramic flint scatters, comprising very crude cores or flakes and no formalised tools, are frequently found on the Middle Euphrates steppe of northern Syria. Previous studies suggest that many of them are residues of short-term activities by the nomads or shepherds of the Early Bronze Age. In order to verify this interpretation, a more precise chronological framework needs to be established for the Early Bronze Age lithic industry. This paper analyses stratified flake assemblages of the Early Bronze Age at Tell Ghanem al-Ali, a securely radiocarbon-dated settlement on the Middle Euphrates, and examines which occupation level yields assemblages most similar to those of the steppe. Results demonstrate that the lithic industry of this period underwent significant diachronic changes in terms of core reduction technology. Based on the chronological framework developed at Tell Ghanem al-Ali, the steppe assemblages in question can be assigned to different phases of the Early Bronze Age. This finding will help identify processes at the beginning of the extensive exploitation of the steppe, which is regarded as one of the most important socioeconomic changes that occurred among Early Bronze Age communities of the Middle Euphrates. Akashi, C. 2011, The subsistence and the plant use in Tell Ghanem al-Ali: Early Bronze Age Syria, Al-Rafidan, 32: 105-110. Algaze, G. 1999, Trends in the archaeological development of the Upper Euphrates basin of Southeastern Anatolia during the Late Chalcolithic and Early Bronze Ages. In: Archaeology of the Upper Syrian Euphrates, the Tishreen Dam Area, (Del Omo Lete, G. & Montero Fenollos, J.-L., Eds. ), Universitat de Barcelona, Barcelona: p. 535-572. Al-Maqdissi, M. & Ohnuma, K., (Eds. ), 2009, Preliminary reports of the Syria-Japan archaeological joint research in the region of Ar-Raqqa, Syria, 2008, Al-Rafidan, 30: 135-225. Al-Maqdissi, M. & Ohnuma, K., (Eds. ), 2010, Preliminary reports of the Syria-Japan archaeological joint research in the region of Ar-Raqqa, Syria, 2009, Al-Rafidan, 31: 97-207. Al-Maqdissi, M. & Ohnuma, K., (Eds. ), 2011, Preliminary reports of the Syria-Japan archaeological joint research in the region of Ar-Raqqa, Syria, 2010, Al-Rafidan, 32: 119-209. Caneva, I. 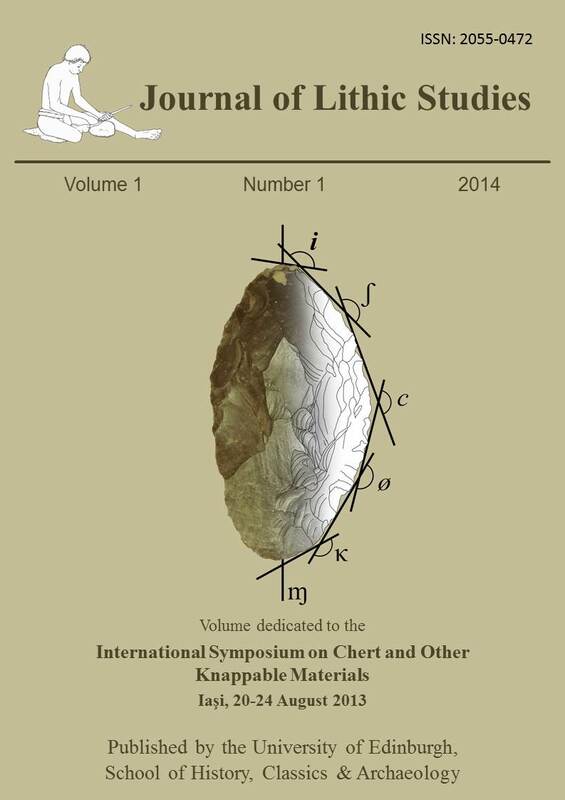 1993, From Chalcolithic to Early Bronze Age III at Arslantepe: a lithic perspective. In: Between the Rivers and Over the Mountains, (Frangipane, M., Hauptmann, H., Liverani, M., Matthiae, P., & Mellink, M., Eds. ), Universita di Roma La Sapienza, Rome: p. 319-339. Chabot, J. 2002, Tell ‘Atij, Tell Gudeda: Industrie Lithique. CELAT, Quebec, 226 p.
Conolly, J. 2003, Tools and debitage of obsidian and flint. In: Excavations at Tell Brak, Vol. 4, (Matthews, R., Ed. ), British School of Archaeology in Iraq, London: p. 363-375.
Cooper, L. 2006, Early Urbanism on the Syrian Euphrates, Routledge, London, 313 p.
Hasegawa, A. 2010, Sondage at the site of Tell Ghanem al-Ali, Al-Rafidan, Special Issue: 25-35. Hunbury-Tenison, J. 1983, The 1982 flaked stone assemblage at Jebel Aruda, Syria, Akkadica, 33: 27-39. Kohlmeyer, K. 1984, Euphrat-Survey: die mit mitteln der gerda henkel stiftung durchgeführte archäologische geländebegehung im Syrischen Euphrattal, Mitteilungen der Deutschen Orient-Gesellschaft zu Berlin, 116: 95-118. Lyonnet, B. 2009, Who lived in the third millennium “round cities” of northern Syria? In: Nomads, Tribes, and the State in the Ancient Near East, (Szuchman, J., Ed. ), The Oriental Institute of the University of Chicago, Chicago: p. 179-200. Meyer, J.-W. 2010, The cemetery of Abu Hamad: a burial place for pastoral groups? Al-Rafidan, Special Issue: 155-163. Nakamura, T. 2010, The Early Bronze Age chronology based on 14C ages of charcoal remains from Tell Ghanem al-Ali, Al-Rafidan, Special Issue: 119-129. Nishiaki, Y. 2003, Chronological developments of the Chalcolithic flaked stone industries at Tell Kosak Shamali. In: Tell Kosak Shamali - The Archaeological Investigations on the Upper Euphrates, Syria. Volume 2: Chalcolithic Technology and Subsistence, (Nishiaki, Y. & Matsutani, T., Eds. ), Oxbow Books, Oxford: p. 15-111. Nishiaki, Y. 2010a, Archaeological evidence of the Early Bronze Age communities in the Middle Euphrates steppe, North Syria, Al-Rafidan, Special Issue: 37-48. Nishiaki, Y. 2012. Notes on the third millennium blades from Tell Abu Hujeira. In: Trois Campagnes de Fouilles Syriennes à Tell Abu Hujeira, Hasseke (1988-1990): Cinquieme et Sixieme Parties, (Suleiman, A. & Quenet, P., Eds. ), Documents d’Archéologie Syrienne Vol. 17, Directorate-General of Antiquities and Museums, Damascus: p. 63-70. Nishiaki, Y. (in press), Steppe exploitation by Bronze Age communities in the Middle Euphrates Valley, Syria. In: Settlement Dynamics and Human-Landscape Interaction in the Steppes and Deserts of Syria, (Morandi Bonacossi, D., Ed. ), Studia Chaburensia, Otto Harrassowitz, Wiesbaden. Nishiaki, Y., Kadowaki, S., & Kume, S. 2009, Archaeological survey around Tell Ghanem Al-Ali, Al-Rafidan, 30: 145-153, 160-163. Nishiaki, Y. & Abe, M. 2010, Archaeological survey around Tell Ghanem Al-Ali (III), Al-Rafidan, 31: 125-128. Nishiaki, Y., Abe, M., Kadowaki, S., Kume, S., & Nakata, H. 2011a, Archaeological survey around Tell Ghanem Al-Ali (II), Al-Rafidan, 32: 189-215. Nishiaki, Y., Kadowaki, S., Nakata, H., Shimogama, K., & Hayakawa, Y. 2011b, Archaeological survey around Tell Gahnem Al-Ali (IV), Al-Rafidan, 32: 125-133. Nishiaki, Y., Kadowaki, S., Kume, S., & Shimogama, K. (2012) Archaeological survey around Tell Gahnem Al-‘Ali (V), Al-Rafidan, 33: 1-6. Peltenburg, E. J. 2007, Euphrates River Valley Settlement: The Carchemish Sector in the Third Millennium BC, Levant supplementary series Vol. 5, Oxbow Books, Oxford, 285 p.
Peltenburg, E. J. 2008, Enclosing the ancestors and the growth of socio-political complexity in Early Bronze Age in Syria, Scienze Dell’antichita, Storia Archeologia Antropologia, 14(1): 215-247. Porter, A. 2007, The ceramic assemblages of the third millennium in the Euphrates region. In: Céramique de l’âge du bronze en Syrie II, L’Euphrates et la region de Jézireh, (Al-Maqdissi, M., Matoian, V., & Christophe, C., Eds. ), IFAPO, Beyrouth: p. 3-21. Porter, A. 2008, Evocative topography: Experience, time, and politics in a landscape of death, Scienze Dell’antichita, Storia Archeologia Antropologia, 14(1): 195-214. Postgate, J.N. 1994, Early Mesopotamia: Society and Economy at the Dawn of History (2nd ed. ), Routledge, London and New York, 367 p.
Rosen, S. A. 1997, Lithics After the Stone Age: A Handbook of Stone Tools from the Levant, Altamira Press, Walnut Creek, 184 p.
Schmidt K. 1996, Norsuntepe, Kleinfunde I: Die Lithische Industrie, Archaeologica Euphratica Vol. 1, Verlag Philipp von Zabern, Mainz am Rhein, 305 p.
Westaway, R., Bridgland, D., Daoud, M., Radwan, Y., Abu Romieh, M., Yassminh, R., & Al-Ashkar, A. 2007, Investigations of Euphrates terraces and related archaeology, NE Syria, 2006-2007, CBRL Bulletin, 2007(2): 82-89. Wilkinson, T. J. 2004, On the Margin of the Euphrates: Settlement and Land Use at Tell es-Sweyhat and in the Upper Lake Assad Area, Syria, The Oriental Institute Publications Vol. 124, The Oriental Institute of the University of Chicago, Chicago, 292 p.